Emaar Hospitality Group presented a special case study at HITEC Dubai today highlighting its latest innovations in digitalization that will set a new benchmark for the hospitality sector. “Emaar Hospitality Group has paved the way for creating an innovative hospitality landscape in Dubai, offering a range of experiences, from luxury to contemporary midscale. The future of our industry is being defined by the all-encompassing digital transformation. Over the past year we have introduced a series of digital innovations that cover all the touch points focused on enhancing the guest experience. 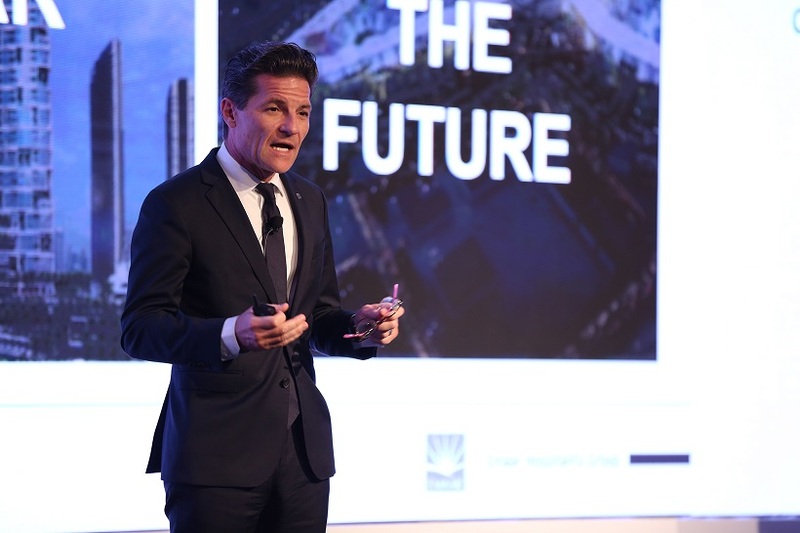 Continuing our journey, we look forward to showing the best that technology and human ingenuity has to offer at Expo 2020,” said Harnisch. HITEC Dubai 2018, the Middle East’s largest hospitality technology exhibition and conference, is endorsed by Corporation for Tourism and Commerce Marketing (DCTCM). Co-produced by Hospitality Financial and Technology Professionals (HFTP®) and Naseba, this year’s expo, which is taking place at the Madinat Jumeirah Dubai from 5-6 December, is showcasing innovative solutions from the world’s leading hospitality technology providers.